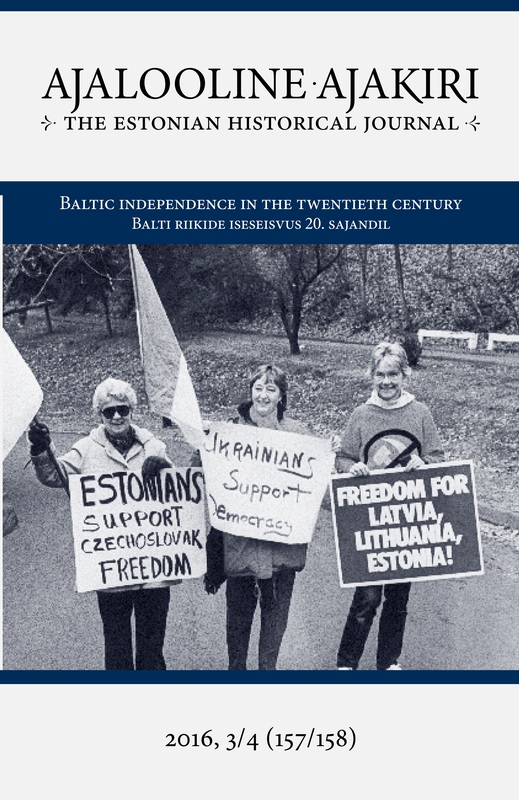 This article considers the history of Swedish attitudes towards Baltic independence during the short twentieth century (1914–91), focusing primarily on the years when Baltic independence was gained (1918–20) and regained (1989–91). The former was characterized by Swedish skepticism towards the ability of the Baltic states to retain their independence long-term, considering the inevitable revival of Russian power. Sweden became one of the very few Western countries to officially recognize the incorporation of the Baltic states in the Soviet Union in the Second World War. During the Cold War, Sweden gained a reputation for its policy of activist internationalism and support for democratization in the Third World, but for security-related reasons it ignored breaches of human rights and deficit of democracy in its immediate neighborhood, the Soviet Union and the Baltic republics. However, in 1989–91 the unprecedented decline in Soviet influence, the value-based approach in international relations, feelings of guilt over previous pragmatism, and changes in domestic politics encouraged Sweden to support Baltic independence, and to take on the role of an active manager of the Baltic post-soviet transition.